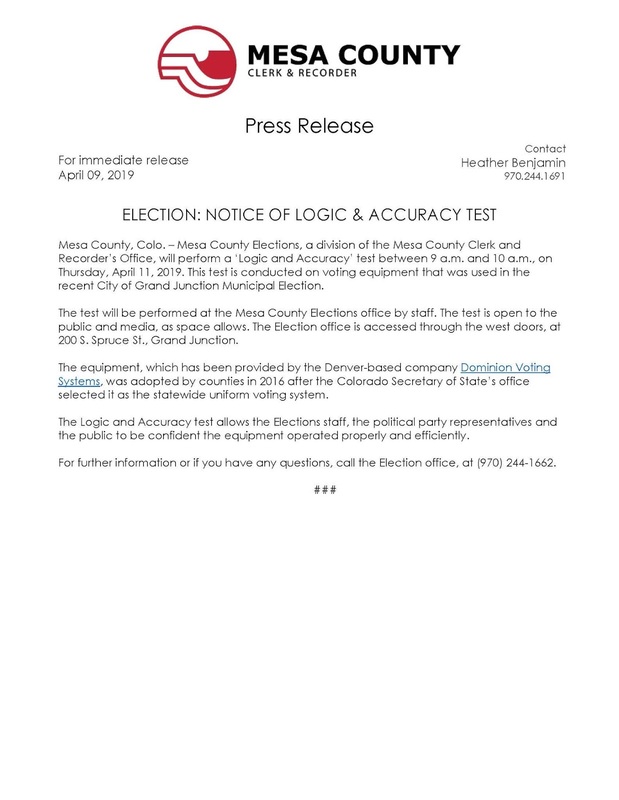 Mesa County, Colo. – Mesa County Elections, a division of the Mesa County Clerk and Recorder’s Office, will perform a ‘Logic and Accuracy’ test between 9 a.m. and 10 a.m., on Thursday, April 11, 2019. This test is conducted on voting equipment that was used in the recent City of Grand Junction Municipal Election. 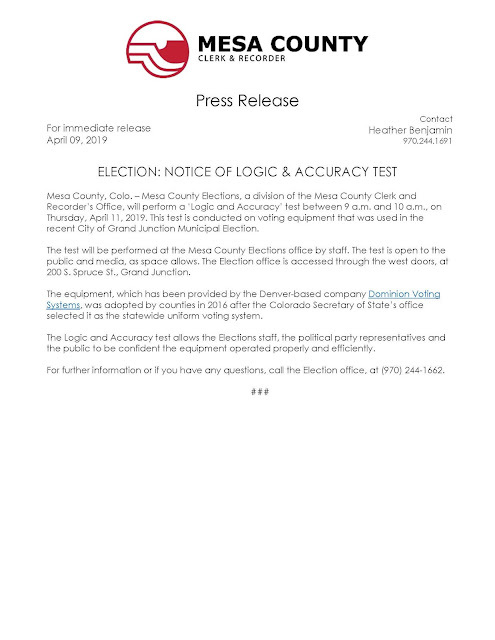 The test will be performed at the Mesa County Elections office by staff. The test is open to the public and media, as space allows. The Election office is accessed through the west doors, at 200 S. Spruce St., Grand Junction. The equipment, which has been provided by the Denver-based company Dominion Voting Systems, was adopted by counties in 2016 after the Colorado Secretary of State’s office selected it as the statewide uniform voting system. The Logic and Accuracy test allows the Elections staff, the political party representatives and the public to be confident the equipment operated properly and efficiently. For further information or if you have any questions, call the Election office, at (970) 244-1662.